Arthur Dale Derrick is an important figure in the saga of White Boy Rick—Richard, Wershe Jr. As Rick himself has said, “Art was a big piece of the story.” Derrick, a “weight man” or wholesaler, helped Rick get started in his doomed effort to become a big-time drug dealer. Derrick came up with the name White Boy Rick as was explained in last week’s blog post. Derrick was the kind of drug dealer Rick Wershe, Jr. dreamed of becoming. Yet in the end, he got off easy compared to his young customer. Here’s the story. 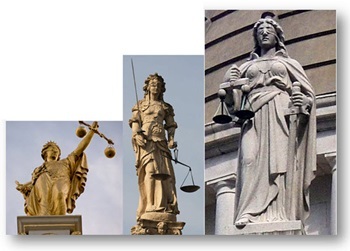 You have seen them countless times but have you ever given any thought to the various sculptures known as Lady Justice? She’s the woman in an ancient robe with a set of scales in one hand and frequently a sword in the other. Sometimes she’s wearing a blindfold, sometimes not. The one constant is the set of scales. They represent the very foundation of justice—the all-important quest to weigh evidence and testimony to determine what is true and what isn’t. The scales held by Lady Justice also signify balance, a weighing of interests. Law ‘n’ order advocates like to say ‘let the punishment fit the crime.’ Well, okay. Let’s go with that. If we honestly apply that standard, Rick Wershe should be released from prison immediately. He has more than done his time, especially when compared to others in the criminal justice system that have done far worse and served far less time. In the law there is a concept called proportionality. Essentially it means let the punishment fit the crime. The Michigan Supreme Court ruled Michigan’s mandatory life law for non-violent but significant drug dealing failed the proportionality test. Inmates convicted under that law were paroled, except for one: Richard Wershe Jr. Someone needs to be held accountable—now—today—for the severity of the continuing punishment of Richard Wershe, Jr. as compared with others convicted under the narcotics laws. Last week, Informant America explained that Richard Wershe, Jr. was given the nickname White Boy Rick by the late Arthur Dale Derrick, a true drug kingpin. 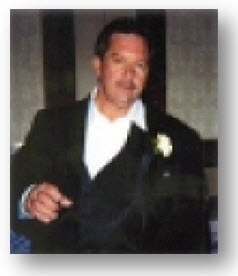 Derrick succumbed to the lure of prescription pills and cocaine and died of poor health in 2005. Art Derrick was a white suburbanite with cocaine connections in Miami and a small fleet of aircraft to transport kilos of coke. In the 1980s, Art Derrick was probably the biggest “weight man”—cocaine wholesaler—in the Detroit market. His clients included Detroit’s biggest inner city dope dealers of that era. The previous Informant America post quoted from a sworn statement by Derrick about how he and his partner decided to call Richard Wershe, Jr. “White Boy” or “White Boy Rick” to differentiate him from another customer also named Rick. The other Rick was black and drove a Maserati. Derrick and his partner referred to him as Maserati Rick. Who was Derrick’s partner? His name was Sam Curry. Samuel Mack Curry. He was an older black man who was the father of the infamous Curry Brothers—the gang Rick Wershe spied on and informed on for the FBI beginning at age 14. Apparently the Curry Brothers learned the illegal drug trade at their father’s knee. And Rick Wershe met Art Derrick when he was running with the Curry Brothers and partying with Detroit’s A-List of dope dealers. The Art Derrick/Sam Curry partnership was a good one while it lasted. Art Derrick had the Colombian supply line connections. Sam Curry knew all the black players in the Detroit drug trade. Art Derrick could import it and Sam Curry could move it. Their customers included Detroit drug gangsta legends like the aforementioned Maserati Rick, the Curry Brothers, Demetrius Holloway and the legendary—in criminal circles—Chambers Brothers. By some estimates Art Derrick was raking in $100 thousand a day. Among Art Derrick’s best customers were the Chambers Brothers. They were a dirt-poor family from the rural dirt roads of Marianna, Arkansas. They moved to Detroit and hit it big-time in the dope trade, raking in an estimated $55 million a year slinging dope. Billy Joe Chambers—BJ—and his brother Larry, the leaders of the Chambers Brothers organization, were so naturally and instinctively good at sales and marketing they probably could have been major successes in legitimate business if their lives had gone down that road. Author William M. Adler interviewed Art Derrick for Land of Opportunity, a well-researched and critically-acclaimed1995 book about the Chambers Brothers. In his interview with Adler and in other statements, Derrick described how he was working long hours in a store he owned and how he began messing with prescription drugs. “I was using a lot of pills,” Derrick told Adler. Court documents support this. Through a routine diversion unit audit of a pharmacy, the DEA became aware of Art’s connection to illegal prescription drugs. The investigation showed a lot of pill prescriptions by an osteopath named Richard Tapert. The doctor was indicted by a federal grand jury and convicted. Court documents indicate a cocaine-for-pills arrangement between Tapert and Derrick. During the mid-80s Art Derrick was helping the Chambers Brothers become “kingpins” and “drug lords”—the kind of terms the police and media used to describe Richard Wershe, Jr. or White Boy Rick. Because Rick Wershe knew and hung around with this crowd, he was painted or tarred with the same brush. It wasn’t true but no one noticed or cared. The Chambers Brothers, however, were the real deal. In his conversation with author Adler Derrick remarked about the rise of the Chambers Brothers. Derrick described it to Adler as a team effort and lauded Billy Joe Chambers’ skills at selling cocaine. “The guy could move dope like no one I ever saw,” Derrick said admiringly. Art Derrick was eventually busted by the DEA and charged with CCE—operating a Continuing Criminal Enterprise. This federal law is known as the “kingpin statute.” It is the crime law the Justice Department uses to prosecute true “kingpins” and “drug lords.” They never charged Richard Wershe, Jr.—White Boy Rick—with operating a Continuing Criminal Enterprise. In fact, the federal government never charged Rick Wershe at all. Derrick was convicted and served six years of a 10-year sentence for being a “drug kingpin.” Richard Wershe, Jr., who was once briefly an Art Derrick customer, who tried but failed to become a “kingpin”, has been in prison for 27 years—and counting. So much for the scales of Lady Justice. Correction: There were TWO Sam Currys, both black, both older, both involved in the dope trade on Detroit's East Side in the same time period. For a detailed explanation please see the next blog post, A Tale of Two Sams and a Court Ruling.